Hotel Fairfield Inn & Suites by Marriott Mt. Vernon Rend Lake, Mount Vernon, United States of America - Lowest Rate Guaranteed! 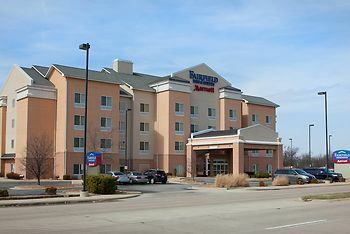 Located in Mount Vernon, Fairfield Inn & Suites by Marriott Mt. Vernon Rend Lake is a 5-minute drive from King City Square Shopping Center and 8 minutes from Veterans Memorial Park. This hotel is 4.1 mi (6.6 km) from Jefferson County Fairgrounds and 10.3 mi (16.6 km) from Dix Village Hall. We have stayed at this hotel several times and have always found it ti be comfortable and clean. The staff is very friendly and the breakfast contains a good variety of food to satisfy everyone.